Ana Bunce is a violinist and educator based in Salt Lake City, Utah. She teaches private violin lessons and group classes to ages 4+. Dedicated to the Suzuki approach, she studied Suzuki pedagogy from pre-twinkle to Books 1 and 2 with Jeanne Grover and Ed Kreitman, qualifying in these levels with the Suzuki Association of the Americas. Ms. Ana’s natural teaching style is positive and deliberate. 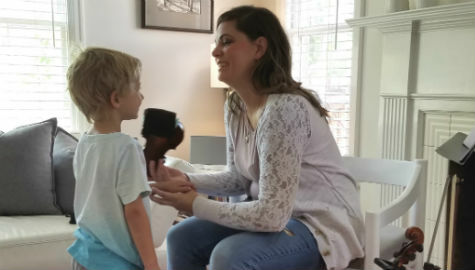 She speaks to different learning styles and backgrounds, and believes patience and positive encouragement will help students develop a love for music. Lessons are tailored to help students excel and to recognize the goals of each student. Before accepting new students, Ana meets with parents to explain her teaching style and philosophy, give helpful advice for beginners and better understand the potential student. From there, students are encouraged to observe at least one private lesson to watch Ms. Ana teach and get to know the studio atmosphere. The Ana Bunce Violin Studio is located in Salt Lake City near 15th South & 15th East, near Emigration Market. Ana discovered the beauty of learning through the Suzuki method as a child and graduated from all the books. As a teen, she began tutoring violin students and soon after opened her own violin studio. She has taught over thirty private violin students in Flagstaff and Phoenix, and is now teaching in Salt Lake. As an instructor, Ana has been a coach for the Phoenix Junior Strings, taught masterclasses at the Arizona Suzuki Association’s Fall Workshops, led an afterschool program at Veritas Preparatory Academy, taught privately during the school day at Palm Valley Montessori and Pine Forest Charter School (Waldorf), and judged at the National Federation of Music Clubs. 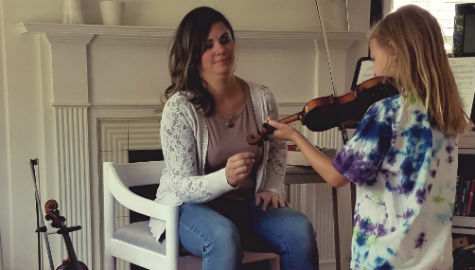 She has attended workshops in Alexander Technique, Musical Mind Games, Bluegrass and Fiddling, and other Teacher Workshops. Currently, Ana is a registered member of the Suzuki Asociation of the Americas, the Suzuki Association of Utah and the National Federation of Music Clubs, and teaches the Early Childhood Music Classes at Montessori Community School in Salt Lake CIty.